Min-Liang Tan from high-performance gaming hardware company Razer explained why today developing hardware is once again so exciting. Hardware 2.0 companies like Razer, Beats and Oculus are blurring the boundaries between hardware and software, focusing instead on the user experience. In the case of Tan’s company, on top of that “bits and atoms” deep integration, a layer of user behavior big data is the key to design better gaming user experiences. 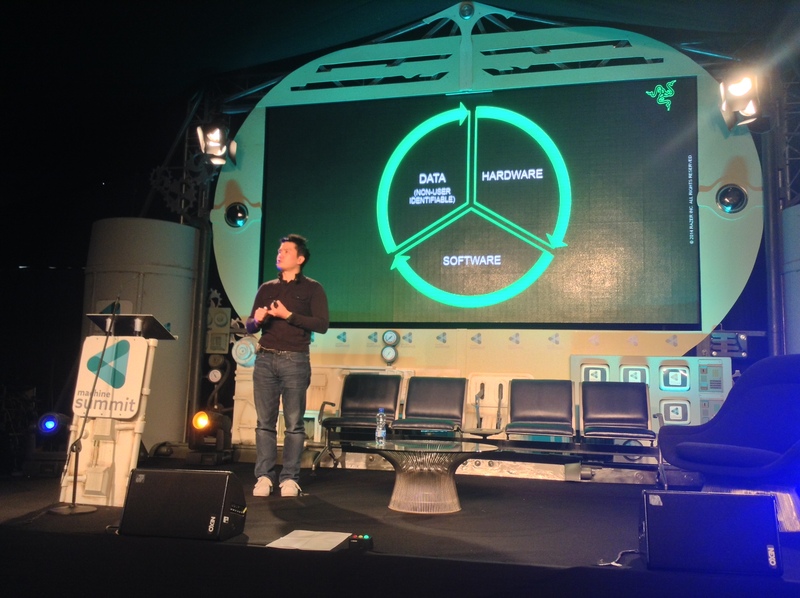 As Tan put it, “huge amounts of data makes better products”. Having started as a gaming peripherals manufacturer, this Singapore-born entrepreneur is bringing his company to become a whole gaming platform for a global user base of superfans. Stephen Lake and Aaron Grant from Canadian startup Thalmic Labs made an enjoyable presentation reviewing the evolution of user interfaces. Starting from the early beginnings of interfaces, and going through Douglas Engelbart, the first MacIntosh and the iPhone, to the wearable technology of today. What we can expect for the near future is, according to them, a new generation of interfaces that will blur the lines between humans and computers. In that sense, this promising gesture control and wearable technology company introduced us the MYO armband, a futuristic wearable device allowing seamless interaction with a broad range of technologies (computer, phone, and other gadgets) by reading muscle electrical activity directly. 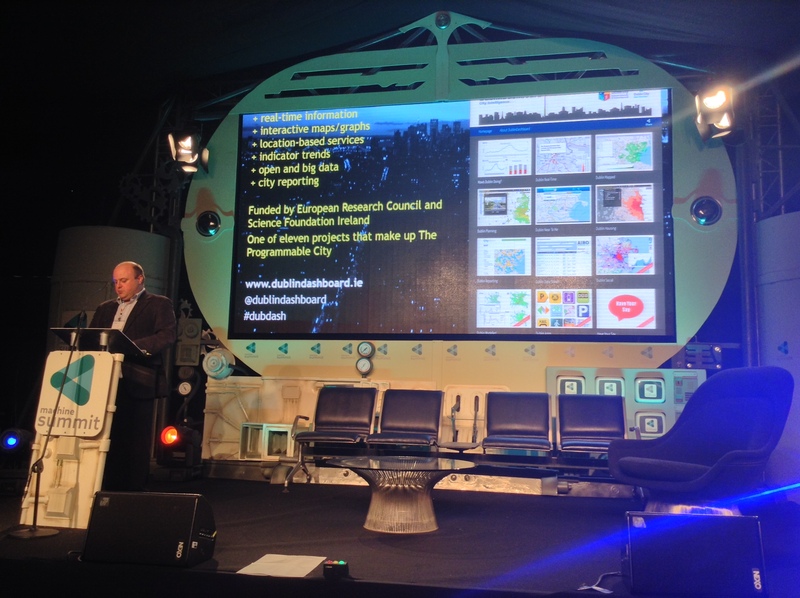 Rob Kitchin, professor and researcher at the National University of Ireland Maynooth presented the Dublin Dashboard, a new site providing real-time information, open data, and interactive maps and graphs about many aspects of the city. The goal of this project, funded by European Research Council and Science Foundation Ireland, is to improve the habitability and attractiveness of Dublin by using innovative information and communications technology. However, distancing himself from technological solutionist approaches, Kitchin said that “technology is not the only answer”, underlining some objections to smart cities, as they can lead us to a technocratic and corporatized governance, reinforcing power imbalances and inequalities. Internet pioneer and entrepreneur Brad Templeton captivated the audience sketching the future of automated transportation. Amusing, but at the same time challenging, he really shined on stage, exposing the benefits that self-driving cars (or Robocars, as he calls them) will bring to society, such as the reduction of the number of accidents (human drivers kill 1,2 million people each year worldwide, most of the accidents caused by drunkenness or inattention), or savings in the energy budget and C02 emissions. With car manufacturers like Audi and Tesla getting ready to launch their first commercial models within two o three years, we should better take self-driving cars as a coming reality. According to Templeton, they could become popular by around 2020. Here, the slides of Templeton’s Robocars talk. Templeton’s career is astonishingly multifaceted. Just to mention a couple of his past achievements, let’s recall that he was founder of ClariNet, one of the companies that can claim having been the first “dot.com”, and Chairman at the digital civil liberties defender Electronic Frontier Foundation. He is currently chair of computing & networks at Singularity University, software design advisor for BitTorrent, and advisor to Google’s team developing self-driving cars. We had the opportunity to speak with him on his career and future challenges. We will post the interview soon. 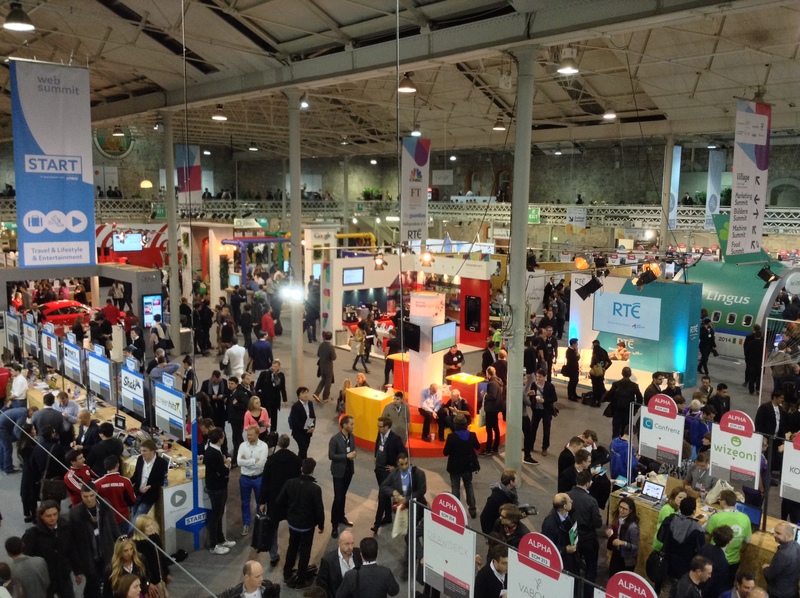 For sure, Web Summit is the right place to find ambitious initiatives and energetic ideas. In spite of its “celebrity touch” (with guests coming from Tv or pop idols), discerning visitors could find really interesting projects for the near future. Strongly backed ventures where exposed to receive the long hard look of a broad audience: some will reach the daylight, some never will. During the Web Summit, we kept looking for the most disruptive technologies with sensible chances of becoming real: so stay tuned for our next recaps!